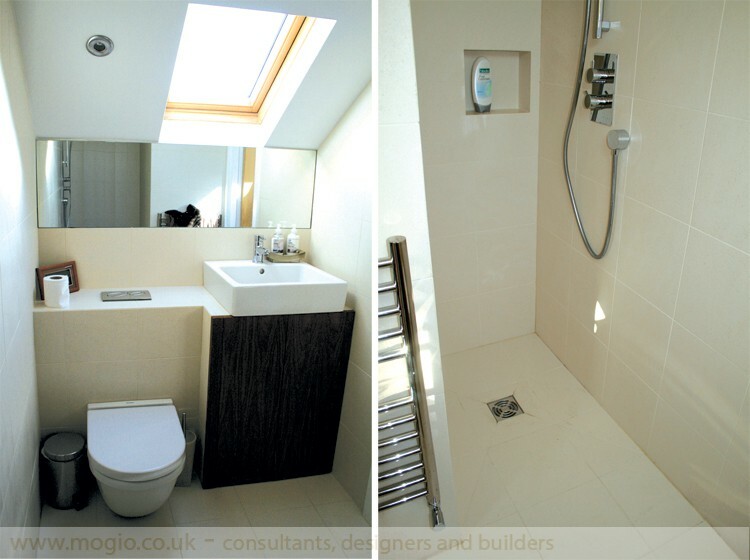 Have you ever considered how to improve your shower room having at disposal only few square metres? Setting at the same time a mood to your shower room and creating a spacious feeling? Nothing could be easier if you rely on our Mogio ideas and practical suggestions. We care about every valuable inch of each and every interior that we have remodeled and modernised. The main design goal of presented shower room remodeling project was to make small space seemed to be larger and to create modern and practical appeal of the interior. Here we present three improvement steps of the realised renovation strategy. 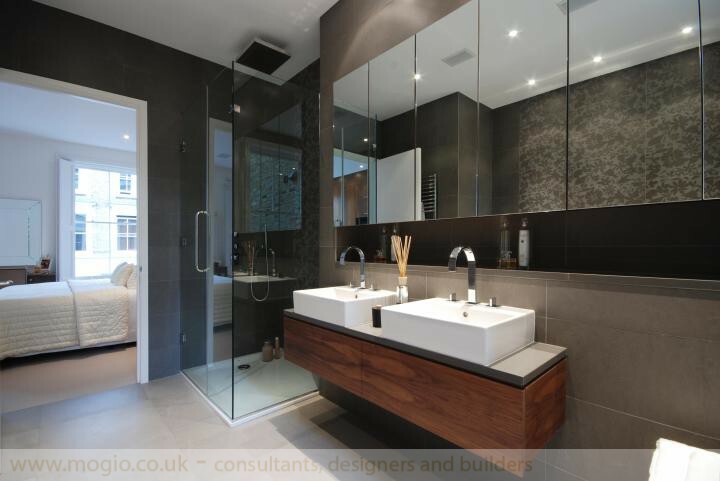 The modernised shower room is characterised first of all by minimalist decor. 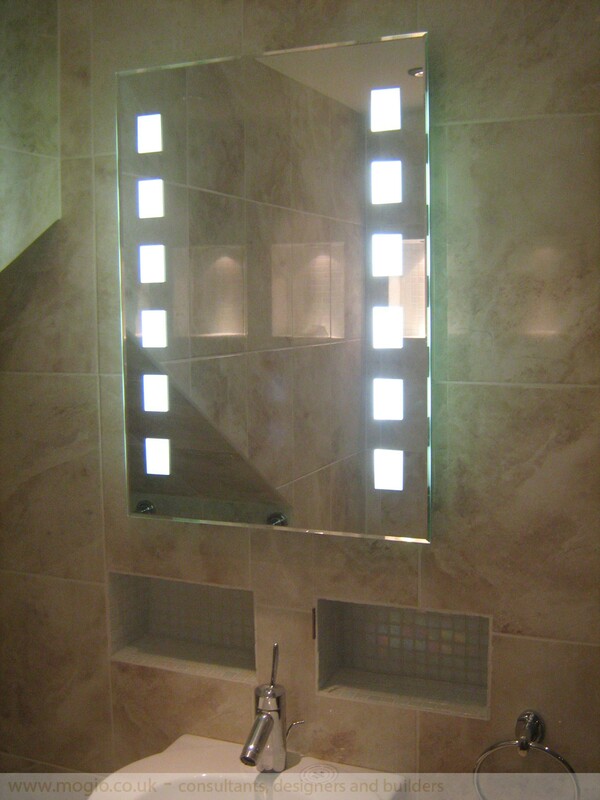 Cream wall and floor tiles bring light into a shower room and thanks to them our space became optically larger. In addition, as the renovated shower room is located on the attic, a traditional roof window let the lights come inside the room and illuminate it. Due to bathroom bespoke furniture such as fitted cupboards you will be able to keep all your toiletries in one place. To save shower room precious space, we decided to make use of built up area which was also used for wall hung toilet and to install a functional cupboard below the large wash basin. Extra space was also created thanks to horizontal mirror above the basin and WC place. Built up are has its practical aspect as well – we obtain additional space that could be a shelf for shower room gadgets. No shower tray shall be used if you dream about spacious shower room! To keep your shower toiletries at hand, we created a shower niche to that purpose. 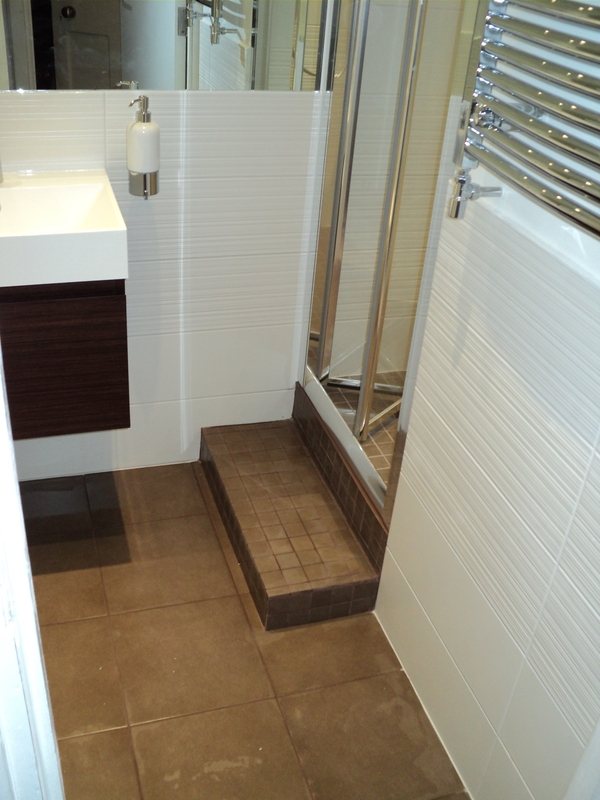 And done – the remodeled shower room gained more space than our Client suspected : ) Enjoy your renovation!